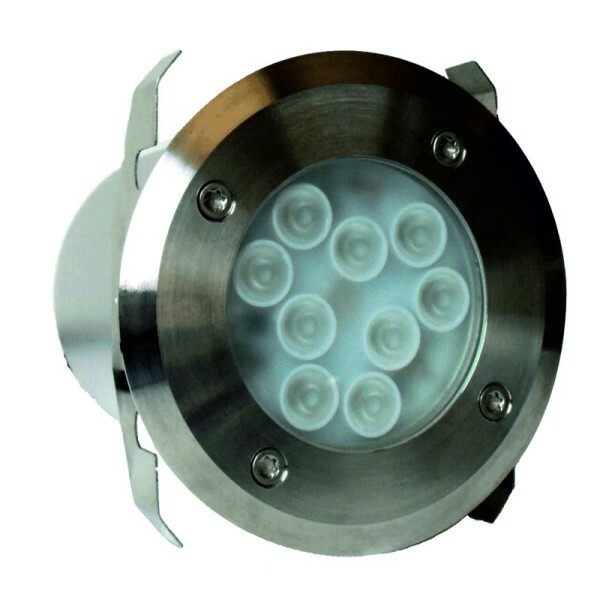 The Ultraluxx LED Deck Light is a high power, recessable LED spot light, outputting 650 lumens from a total of 9 energy efficient 2w LEDs in warm white (3000k). The total power consumption is 18w, more than four times more efficient when compared to that of a halogen equivalent. Despite its high lumen output, the UltraLuxx Deck Light is 12 volt Plug & Play compatible, making the spotlight not only easier to install, but easier to extend and far safer than mains lighting devices. The unit comes with 5m of low voltage cable which can be extended by the use of our low voltage extension cables. The Deck Light requires a transformer and can be paired with our 60w or 150w Plug & Play Transformer (Not Supplied). The inner lens is frosted and measures 58mm diameter, producing a 30 degree narrow beam angle perfect for spot-lighting & up-lighting. The spring-loaded locating clips are made to fit snugly into drilled hole diameters of 85-95mm. For other installations a 91mm mounting sleeve is provided, allowing a diverse range of applications. Aside from deck lighting, the recessed spotlight can be inserted into walls, roofing or even underwater. 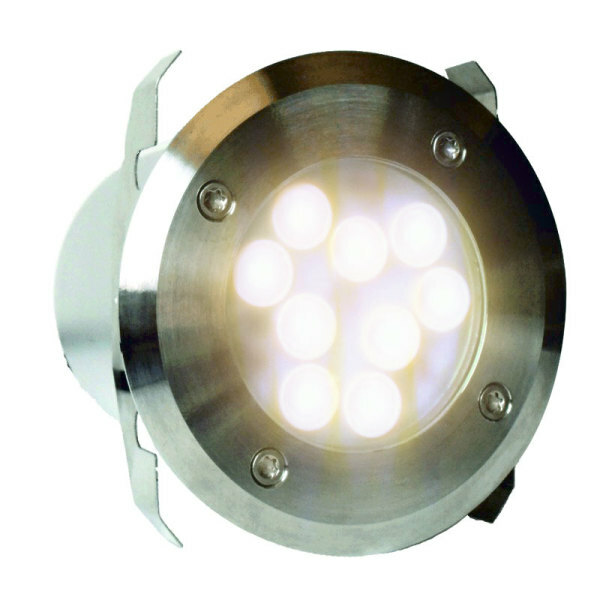 The UltraLuxx Deck Light is IP68 rated to 2m maximum submersion depth. 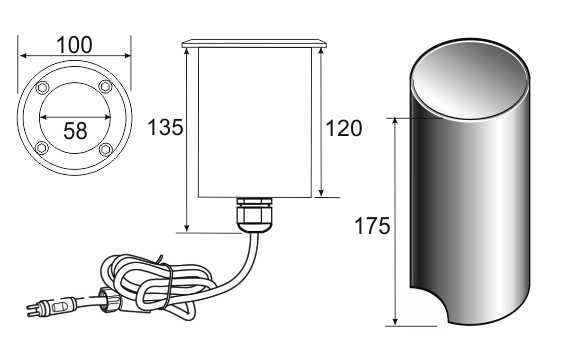 Sleeve Dimensions: ​Ø91mm (Body) ​Ø100mm (Flange) x H175mm. The lower casing is Aluminium in design, with the upper fixture finished in a sleek brushed finish 316 Stainless Steel.